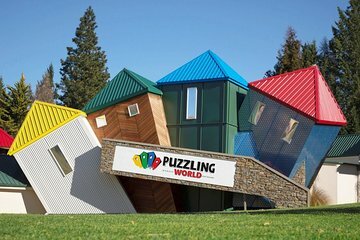 Try your hand at mind-bending games and puzzles at Puzzling World in Wanaka. This prepaid admission ticket lets you plan your vacation in advance and have guaranteed admission to this popular attraction. Try out the world's first 3D Great Maze, visit the illusion rooms, and test your problem-solving skills. Was a fun experience, great to do with children. We had a lot of fun in the maze. Leave enough time to play with all the puzzles before leaving.